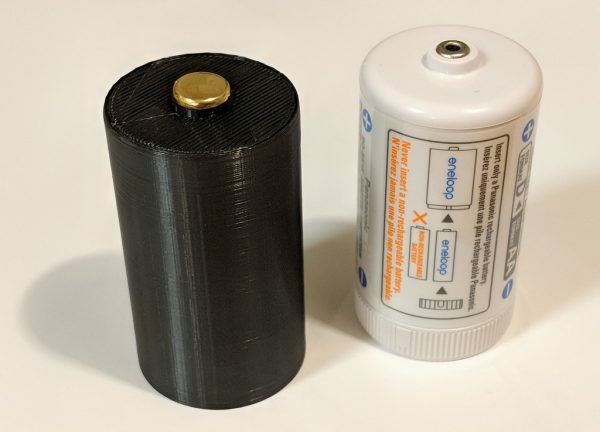 Single AA-cell to D-cell battery adapter #3DThursday #3DPrinting « Adafruit Industries – Makers, hackers, artists, designers and engineers! Primarily needed this to augment the D-cell adapters that were included with our Eneloop rechargeable kit. Inspired by Seadevil’s elegant “brass fastener” design, this was a re-model from scratch in Fusion 360. I reduced the number of fins to speed printing, and added a bit of spring to the inner edges to consistently hold a variety of AA cells.